Tuesday April 11, 2019 New York City – At the New School in New York City, STOMP Out Bullying, the leading anti-bullying organization for kids and teens in the United States, celebrated its second annual v event during their National Culture Week initiative. The celebration brought together celebrities, professional athletes and schools to recognize and support the organization’s progress towards “changing the culture” by promoting civility, inclusion and equality to end bullying in all its forms. 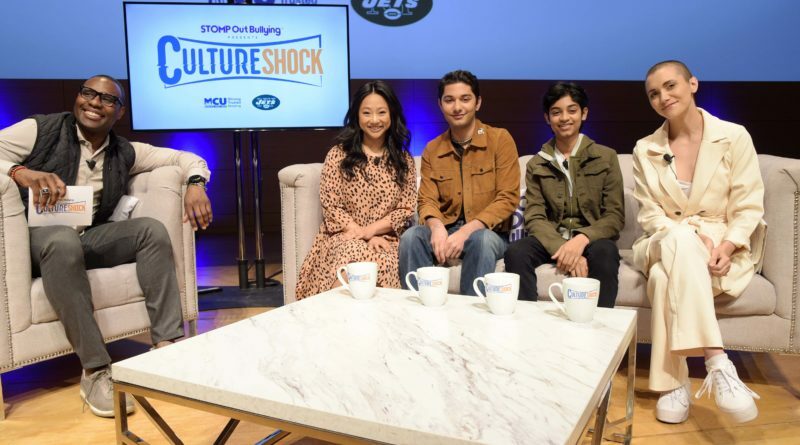 Moderated by former NY Jets & Kansas City Chiefs running back, Tony Richardson, this year, STOMP Out Bullying is focused on conversation among youth about the need to change the culture from one of cruelty to one of kindness and inclusivity with panelists, Stephanie Hsu, Alyson Stoner, Mark Indelicato and Rohan Chand. The spirited and uplifting forum provided an opportunity for youths to share and learn from each other’s diverse cultural backgrounds and experiences.